Halcyon Future: Easter Weekend; Halcyon Future on the go! Firstly I hope you've all had a brilliant Easter and indulged in lots of hot cross buns, Easter eggs and time with everyone you love! It's one of my favourite times of the year as it signifies the reunion between one of my true loves and I - the Cadbury creme egg. 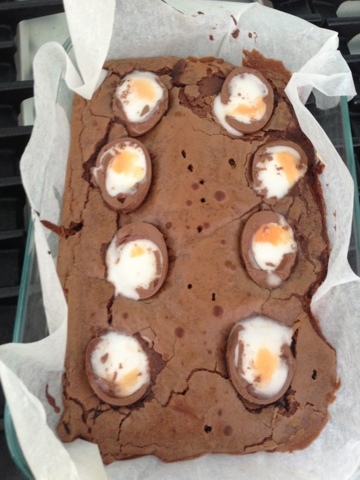 Yes, it's sad that one can feel so much love for an egg shaped chocolate but I just can't help myself. It's the epitome of everything chocolate should be - fun sized, chocolatey and stuffed with something unexpected in the middle. My sister and I (mainly my sister - she's the far better cook!) actually made the Cadbury creme egg brownies this year, which were delicious but, as expected, very very rich and sweet. Aside from all the chocolate, (and speaking of true love) this Easter weekend I also attended the wedding of a family member of my boyfriend. As a bit of a soppy and hopeless romantic, I love a good wedding, so I was really looking forward to it. Add to that a black tie dress code and an excuse to dress up - bonus! I think there's always something a bit daunting about dressing for weddings, particularly if, like I, you don't actually know the couple in question that well. Obviously you want to look good but you don't want to steal the limelight, plus there's the challenge of finding something that's suitable for both the church service and the reception! 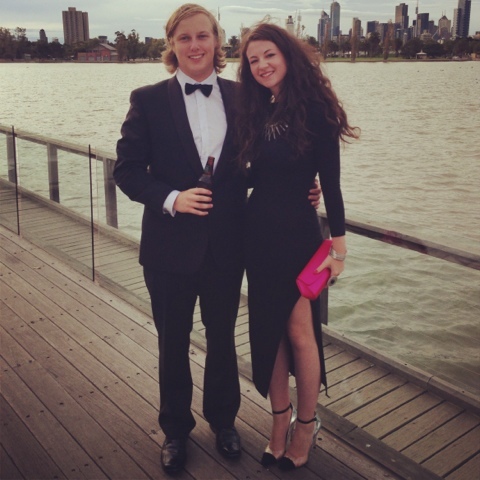 I ended up going for a figure hugging black mid-length, long sleeved dress with a split, my favourite black/silver ankle strap heels, a silver chunky necklace, silver rings and earrings (various gifts from le boyf) and hot pink clutch and nails. The dress was one of those ones that look pretty ordinary on the hanger but that you put on and just feel amazing in. That's really the key to dressing for any situation - the most important thing about an outfit is how you feel in it. If you feel fantastic, that will radiate through and you will LOOK fantastic! It wasn't until we were sat in the service that I realised this would be my first church wedding. With a lot of my family being Jewish, obviously the wedding process is slightly different. Despite there being no crushing of glasses and lifting up the bride and groom on chairs (haha!) 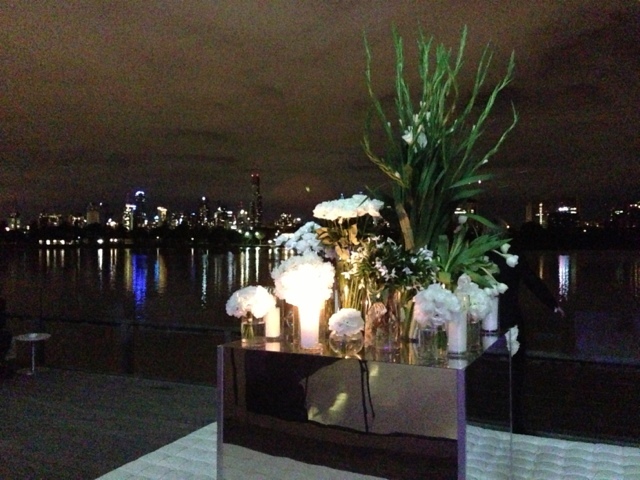 the wedding and service was absolutely beautiful - complete with candlelit tables, a gorgeous floral chandelier and a breathtaking view of the Melbourne skyline. 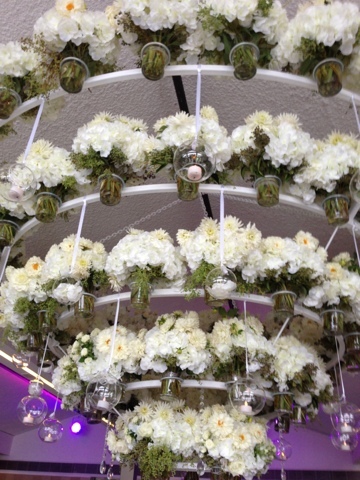 The gorgeous floral chandelier - handmade by the groom! The 'on the go' part of the title is in reference to the fact that I've just downloaded the blogger app for my phone so can now post on the go! Hopefully that means more frequent posts, but we shall see!